The Rotary Inspirational Women’s’ Awards (RIWA) have been established to recognise women and young women who best exemplify Rotary’s motto of Service Above Self (i.e. the community service the individual performs above and beyond their normal role. The Awards are an initiative of the Rotary Districts and Clubs of NSW. 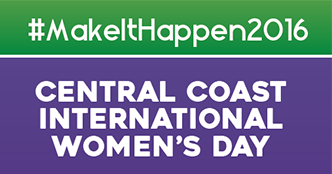 Celebrating International Women’s Day, this will be a family friendly event celebrating the achievements of women on the Coast. It will highlight their participation in all areas of our community including local, national and international women’s issues. The event will also provide opportunities to learn about our community groups and opportunities to get involved. Central Coast International Women’s Day Combined Clubs Committee extends an invitation to all volunteer community groups and friends to join them at the 28th Annual Women in Service Dinner on 21 August. Full details on the Event page on the District website here or download the flyer here.